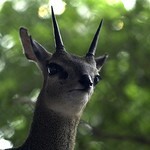 A dwarf antelope species, klipspringers measure 20 inches in height and weigh an average of 24 pounds. Females are larger than males, but the males have a small set of pointed horns that can reach four inches in length. 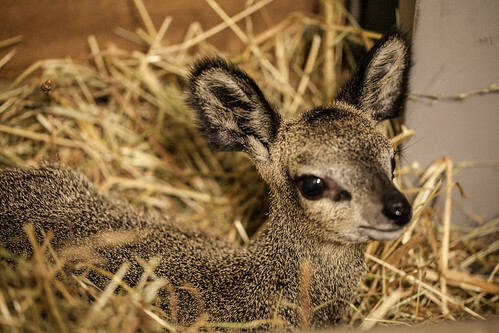 The klipspringer can be found in central and eastern Africa from Ethiopia to South Africa. Common. 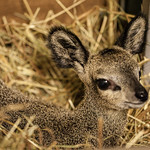 Lincoln Park Zoo cooperatively manages klipspringer populations with other institutions in the Association of Zoos and Aquariums. 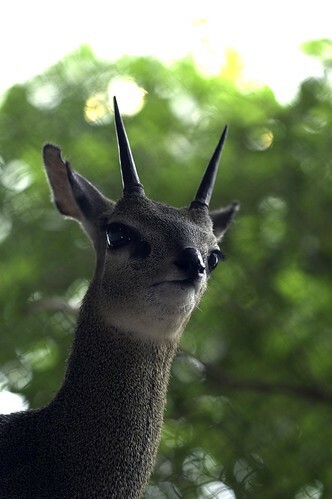 This dwarf antelope species prefers rocky habitats, such as mountains and river gorges. This grazing species eats grasses, leaves, buds and fruits found in its rocky habitat. 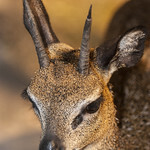 Klipspringers typically live in small family groups composed of a breeding pair and their young offspring. 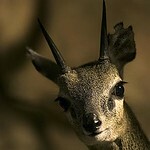 The species is territorial, marking its territory with small scent-producing glands located on the face. Males can use their horns to wrestle for mates. After breeding, the female bears her young in a rocky alcove, where the offspring will remain for two-three months to be protected against predators. 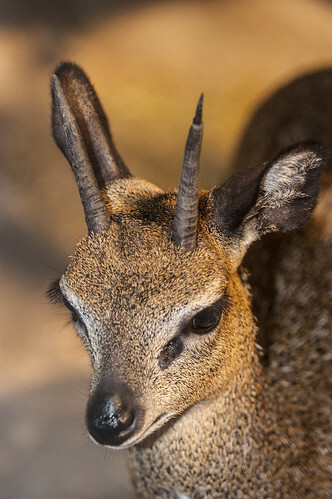 Klipspringers' hooves have a rubbery texture in the center that helps them grip rock, and the tough, sharp outer edges keep them firmly planted.